What are in the ear (ITE) hearing aids? Designed for maximum concealment and customize-able to provide ultimate comfort. These two models are the most discrete type of hearing aid you can find. They are recommended more than other models as an introduction to wearing hearing aids for the first time because they don’t require lifestyle changes. They don’t get in the way of glasses or goggles and stay in place more easily. In The Canal (ITC) - Out of these two models, ITCs are the most discreet. The entirety of the hearing aid sits nicely in your ear canal. There are two styles – Completely in the Canal (CIC) and Invisible in the Canal (IIC). Sitting farther back, IICs are completely unseen and are easily retrieved by a long “pin.” In recent years, technological advances have made these two models a powerful option for people with many degrees of hearing loss. In-the-Ear (ITE) - ITEs also come in two styles – half-shell and whole-shell. Both sit securely outside the ear canal and fill either half or all of the outer part of your ear called the concha bowl. Customized, the fit is snug – well-matched for very active individuals. They are also better suited to those with profound hearing loss. How visible are they really? The invisible in canal hearing aids are the smallest hearing aids available. They offer the ultimate discretion because they are custom-made to fit inside your ear canal. This makes them almost, if not completely, invisible. Tiny cords are fit to this type of hearing aid so you can remove them easily. While this style is popular with people who prefer a more discreet type of hearing aid, the small size means that those with limited dexterity may find these types of hearing aids slightly more difficult to adjust and remove. Due to the positioning of this hearing aid type, they can be susceptible to earwax and moisture build-up, so it is important to ensure that there is adequate ventilation when they are used. However, their small size means that these types of hearing aids are better for minimizing wind noise. The IIC hearing aid type is helpful for people with mild to severe hearing loss. Speak with your hearing care professional for further guidance on IIC hearing aids. This completely-in-the-canal hearing aid was the smallest hearing aid available prior to the introduction of the invisible-in-the-canal hearing aid. 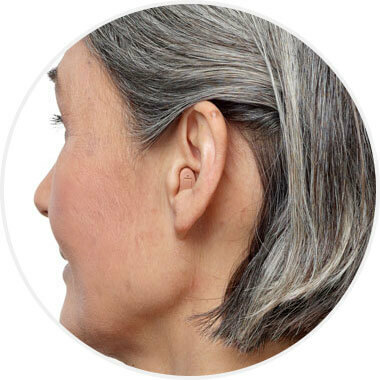 These hearing aid styles are custom-fitted discreetly inside the ear canal. Most CIC hearing aid types are invisible to people you encounter throughout the day. The slightly larger size can accommodate an optional button that allows you to control the settings manually, based on your environment. The only thing visible to the eye is normally the battery drawer and face plate. Due to the positioning of this hearing aid type, they can also be vulnerable to earwax buildup and moisture, so it is important to ensure that there is adequate ventilation. Speak with your hearing care professional for further guidance on CIC hearing aid types. In-the-canal hearing aids are slightly larger than completely-in-the-canal hearing aids. They fit the lower third of your external ear and are custom made to your ear. This hearing aid type has a slightly longer battery life than other in-the-ear styles and features a directional microphone and wireless streaming. Having a directional microphone is an advantage as it enhances sounds that you need to hear (like speech), while simultaneously diminishing background noise. While ITC hearing aids are still very discreet, if you are looking for almost complete discretion, it is advised that you look at the completely-in-the-canal and invisible-in-the-canal hearing aid types. These types of hearing aids offer complete discretion but do not deal with noisy environments as well as larger styles of hearing aids. ITC hearing aids are easy to insert and remove and are a great choice for those who would like the option of push button controls. Speak with your hearing care professional for more guidance on in-the-canal hearing aid types. 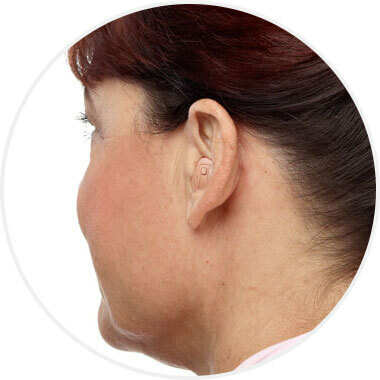 The in-the-ear half shell hearing aid type is designed to fit half of your external ear. The shell of the hearing aid is custom-made to fit the shape of your ear. Depending on the size of your ear, these hearing aid types can be relatively discreet. Half shell hearing aids have a longer battery life than in-the-canal hearing aids because they are slightly larger. They are suitable for anyone with profound hearing loss and are a good option if you want an easy-to-handle hearing aid. Due to their slightly larger size, ITE half shell hearing aids can have more features when compared to in-the- canal, completely-in-the canal and invisible-in-the-canal hearing aids. Speak with your hearing care professional for further guidance on in-the-ear half shell hearing aid types. In-the-ear full shell hearing aids are designed to fit all of your external ear. 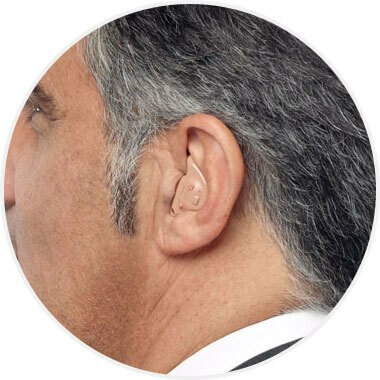 These types of hearing aids are the largest of the custom hearing aids. The shell of the hearing aid is made to custom fit the shape of your ear. Depending on the size of your ear, these hearing aid types can still be relatively discreet. In-the-ear full shell hearing aids have a longer battery life than in-the-canal hearing aids because they are slightly larger. They are suitable for anyone with profound hearing loss and are a good option if you want an easy-to-handle hearing aid. Due to their slightly larger size, ITE full shell hearing aids can have more features than the in-the-canal, completely-in-the canal and invisible-in-the-canal hearing aids. Speak with your hearing care professional for further guidance on full shell hearing aid types. 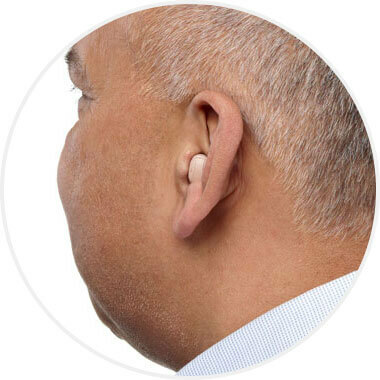 Would you like to try ITE hearing aids? Book a free consultation, and one of our hearing care professionals will help you choose a hearing aid that best meets your needs through intelligent and thoughtful guidance. Do you have any signs of hearing loss?